If you have a fair number of vehicles in your garage, it might come time where you find yourself with the need to get rid of one. Maybe more, if you’re Adam Carolla and need to dump your vintage Lamborghini collection. Maybe you just have one to sell though, and it’s a time you pop that bad boy on eBay. 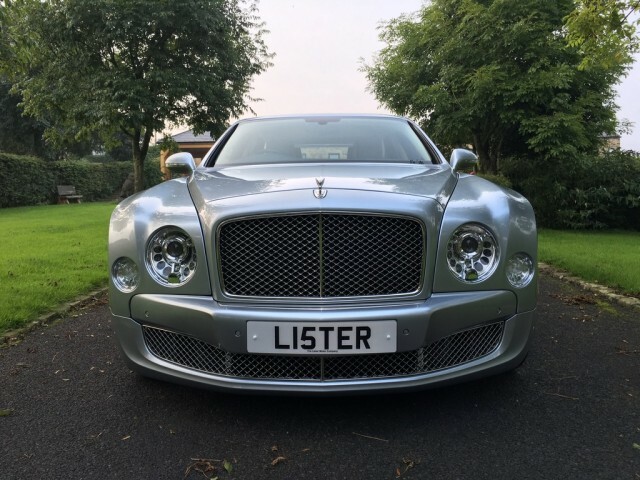 That’s what the CEO of Lister is doing with his 2012 Bentley Mulsanne… and there’s no reserve on the auction. The front plate tells you right away who owns this machine. It reads “LI5TER”, and it belongs to the man cranking out some awesome machines. This machine in particular, however, needs to vacate the premises because it apparently doesn’t get used as often as it should. That seems to make sense considering its a 2012 model and it shows just over 26,000 miles on its odometer. It will be interesting to see where the car winds up price wise. It might fetch a bit more with that great number plate, but that isn’t coming along for the ride to the new owner. That’s staying with Whittaker.